Being less than two hours drive from Munich where I was staying, a quick outing into another association seemed like a good idea. It turned out to be a very good idea. The run down & back took little longer than expected due to a lot of roadworks but when we got there, we were rewarded with wonderful sunny weather both in the valley and on the summit. 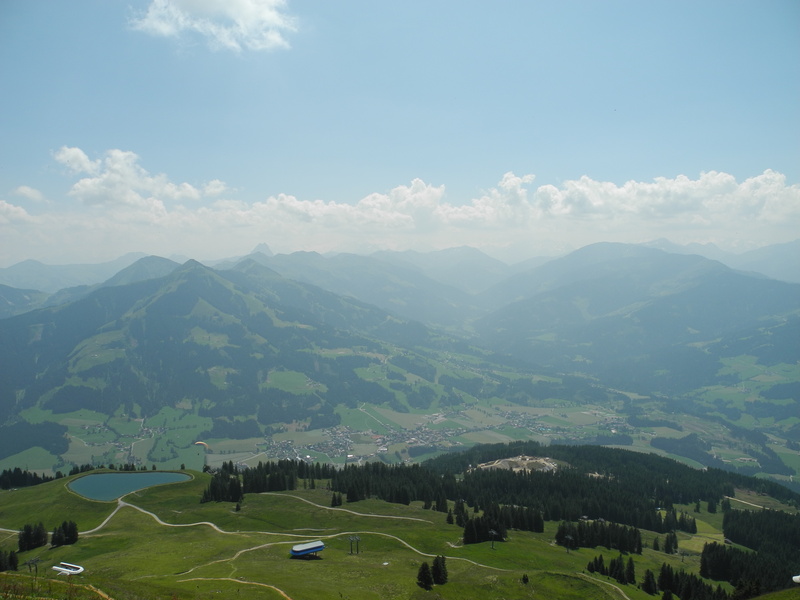 The new (3 or 4 years old) cabin lift in Hopfgarten took only about 15 minutes to takes us from the valley to the summit of the Hohe Salve mountain in two stages. Once we were on the summit after walking in and out of the activation area, I found a spot behind the church (which sits on the actual summit) and was operational pretty much to the planned time. 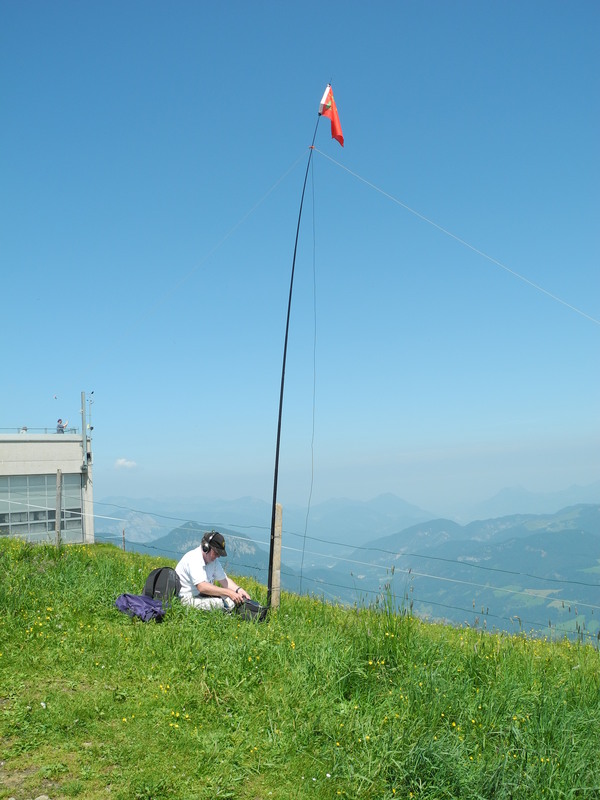 I made my first ever S2S contact with LA8BCA/P who was on LA/OL100 as my first contact of the day. Once again I had problems being able to self spot either via the Internet or via SMS but Ken G3XQE kindly spotted me and as normal the result was more than enough chasers calling me. 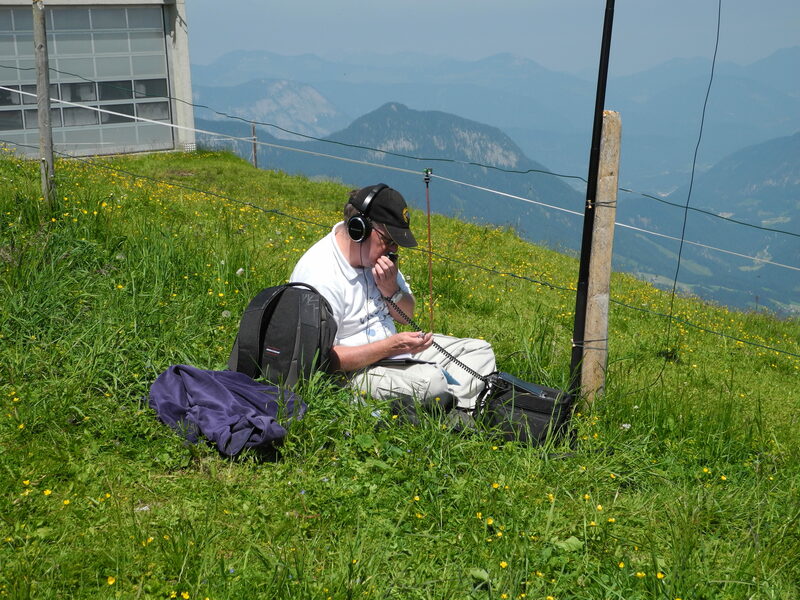 I think I managed to work them all but several reported very deep QSB making the contact difficult from their side with my low powered signal – thanks to all the chasers for managing to make the contacts (I had no problem copying any of the calling stations). I had one technical problem when the FT817 decided to turn itself off because the battery voltage had dropped (I was sure I had recharged it after the Zugspitze activation but it would seem I did not charge it long enough). Thankfully I also had the AA battery pack with me with a set of fully charged AA cells in it, so after a couple of minutes I was able to continue the contact with Anton ON6NL. 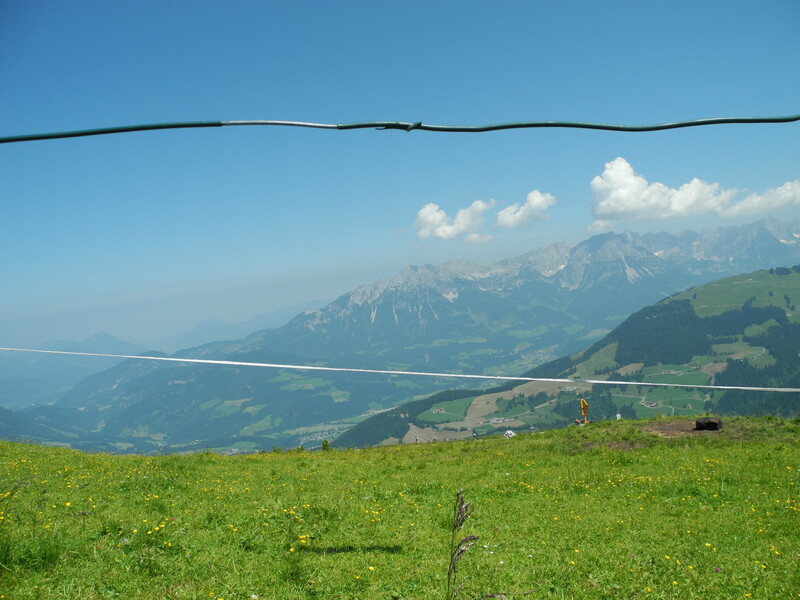 Equipment used – same as used for Zugspitze on the previous weekend (with the addition of the SOTA flag). 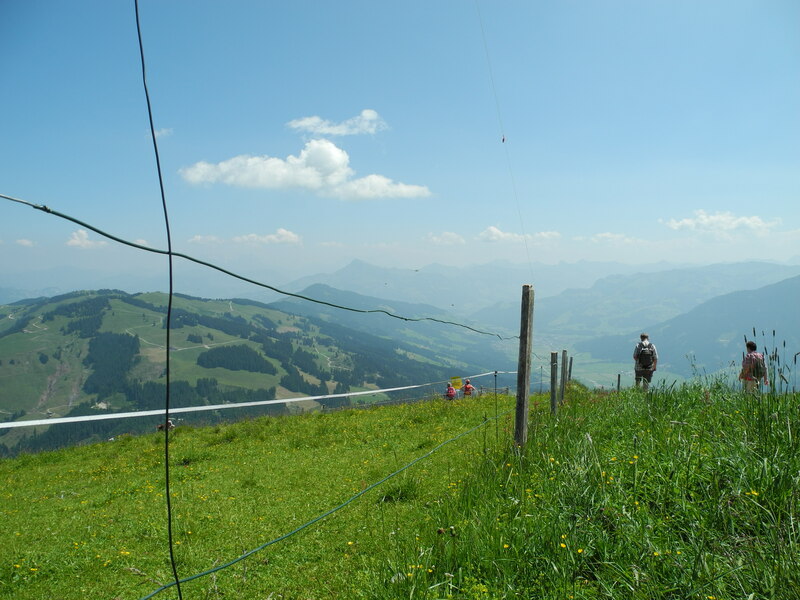 LA8BCA/P (S2S), G3XQE, ON6NL, G4OBK, DL8UVG, EA2CKX, M6BLV, OE7HPI/7 on GMA summit OE0/TI1074, G0RQL, M3XIE, SV3IEG, OK1SDE, DL4YAR, OH3GZ, CT1BQH, GM0AXY, DG1BP, M0BKV. Here is a short video of the first contact of the activation – a Summit to Summit with Serje LA8BCA/P in Norway.